When you’re considering tire retreading options for your fleet, you’re likely to run into specific questions: hHw long can a retread tire last? Where can I find quality retread tires? Etc. But perhaps the most important question to consider is: how is the retreading process completed? 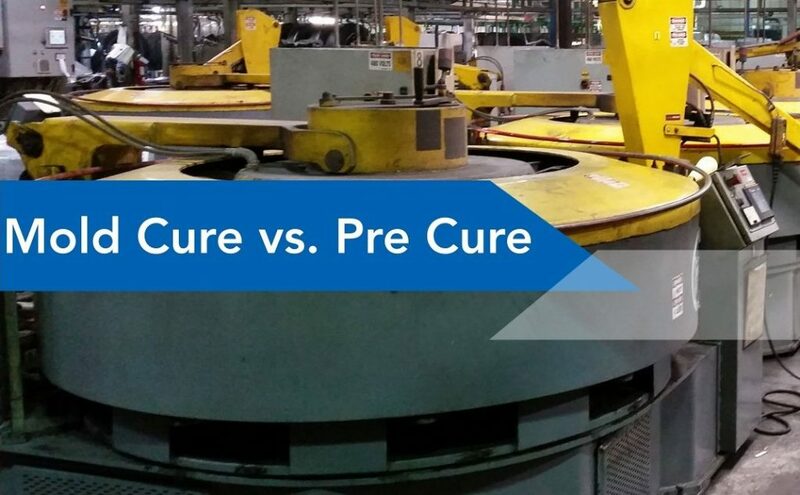 In this latest post, we’ll explain the differences between the two leading styles of tire retreading – mold cure and pre-cure. Mold cure retreading involves first applying a non-vulcanized rubber tread directly to the top of the buffed tire. The freshly rubberized tire is then placed into a stiff mold, which contains the appropriate design for the tread of the tire. The mold is then heated, which causes the rubber within the mold to vulcanize and adhere to the tire with precision. It’s a process that is almost identical to the way the world’s leading manufacturers produce new tires. The pre cure style of tire retreading involves the use of rubber that has already been vulcanized with the new tread design. A thin layer of cushioned gum is placed on the tread area of the newly buffed tire and the pre-cured tread is then applied. The cushioned gum works as a bond to attach the new layer of precured tread to the tire. The tire is then placed directly within a curing chamber to complete the adhering stage. In examining the various merits of the pre cure and the mold cure style of tire retreading, it’s important that you select an option that is right for your company. Many prefer the aesthetic value of the mold cure tires because the tires don’t have the visible bond line, which can be found on some pre cure tires. When completed by trained professionals, both the mold cure and the pre cure styles of tire retreading have been proven effective. The most important factor in your decision should be the experience of the retreading specialist and their access to the latest production technology. Our team at STTC has decades of experience within the tire retreading marketplace, and we can guide you regarding the various styles of retread available relative to your specific application. To discover more about our company and the tire retreading marketplace, please call us today 610-991-8641. See the many other benefits of tire retreading in our Fun Facts About Retread Tires infographic.